It’s been a long time since I visited here. Too long. Summer is always busy, focusing on producing plenty of new work for my Autumn shows, and this year also to keep providing Raven Rocks Gallery with new work each month. All of which has been complicated this year by the deterioration in health and functioning of my husband, and the consequent need on my part to do far more on the homefront as well as to orchestrate and coordinate visits to medical professionals primarily on the mainland. And now, either I’m getting used to the complexity or things have slowed down a little. Not sure which. Maybe both. 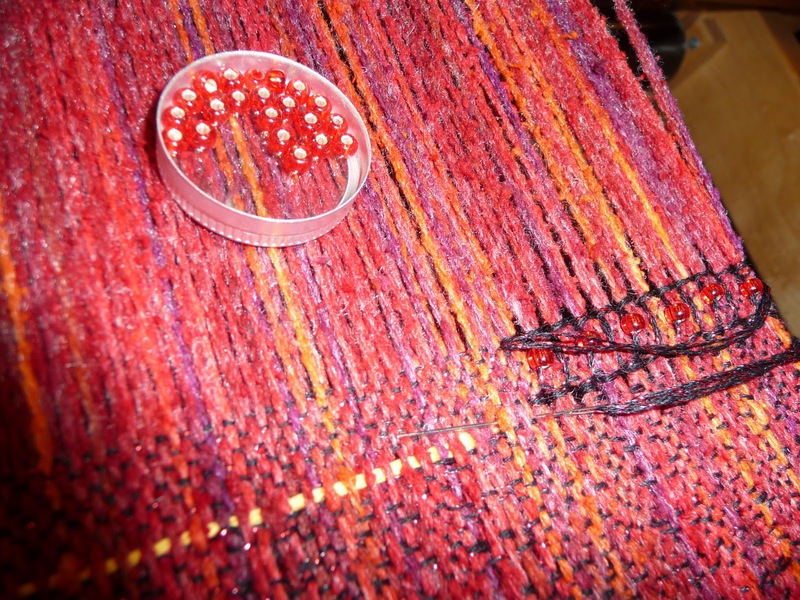 Doing the beaded hemstitching on one of the Flame series of scarves. 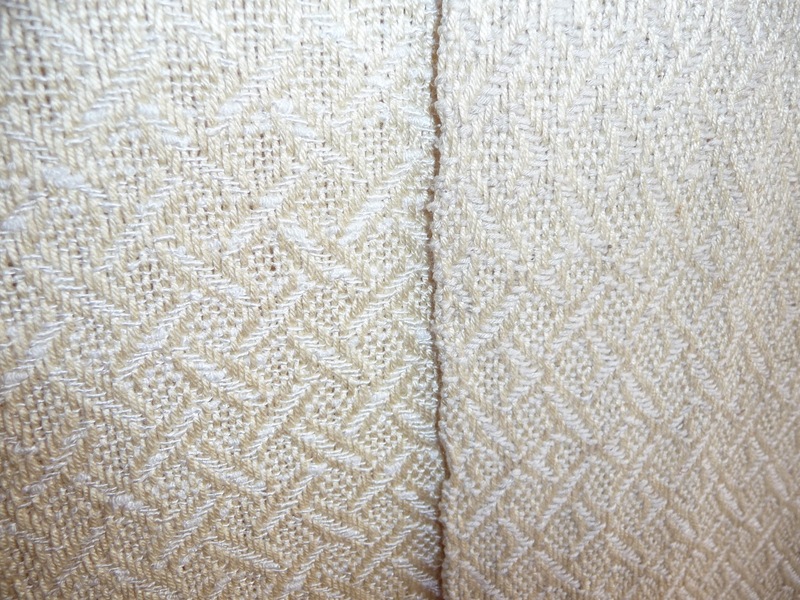 Close-up of two of the Vanilla Creme series of scarves. I’ll put up some more photos in a few days, as I get into the habit of taking them regularly, and as I establish a practice of writing down things here. Further information to be found here soon. 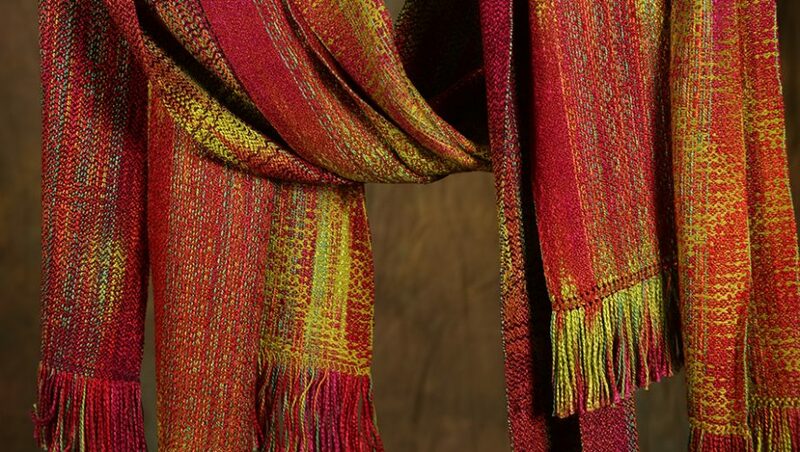 And, of course, my work is available here in my studio, as well as at Raven Rocks Gallery at Greenbank Farm here on Whidbey Island.